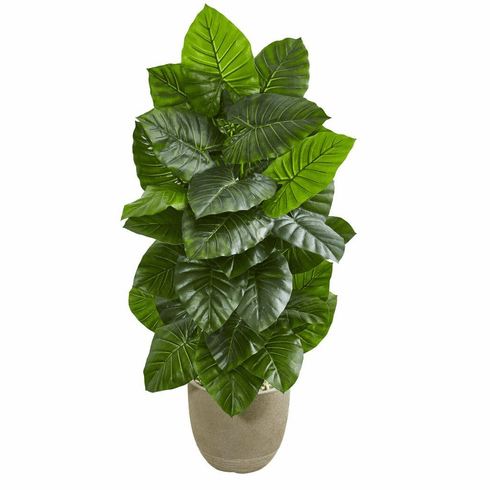 The ample amount of rich green leaves of this artificial taro plant will bring a breath of fresh air to your living space. Its textured leaves are stacked on top of one another, giving a realistic look to the whole arrangement. Coming in a handsome sand stone planter, place this 53-inch piece behind a neutral-toned couch in your living room near the window for warm and cozy feeling. Height: 53 In., Width: 30 In., Depth: 28 In., Color: , Pot Size: H: 11 In. W: 12 In. D: 12 In.